Serve and feel those nutrients pepping you up! It’s gonna be a sunshiney day! It’s flu season! 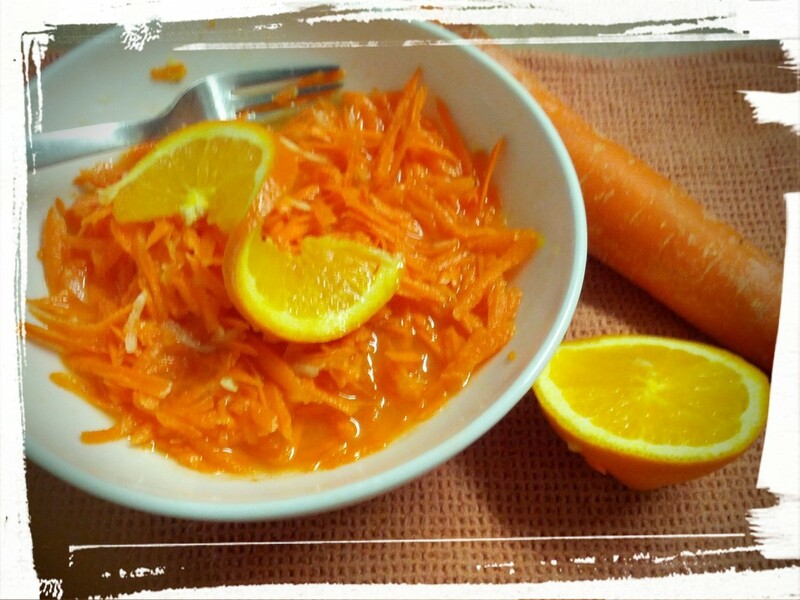 And what better way to combat it that boosting your immunity with this Vitamin C salad? It’s so easy, it’s cray-cray! This salad is a two-ingredient side salad, that pulls together in a snap, and is raw vegan to boot. It might sound like it’s too easy, but seriously, just try it. It’s delish! It’s a great recipe to feed a child, as the sweetness will appeal to their taste buds. I grew up eating it as a child, and now the DH loves it too (not to imply that he’s a child or anything *grin*). I’m sure some earlier version must have had raisins in it, but why ruin a good thing? (Yeah, I’m not a raisin fan, unless I’m eating them as a snack.) This salad, however, I could eat as a snack, and have upon occasion. Want an immunity boost? Whip together this salad and enjoy! Squeeze and grate. Need I say more? 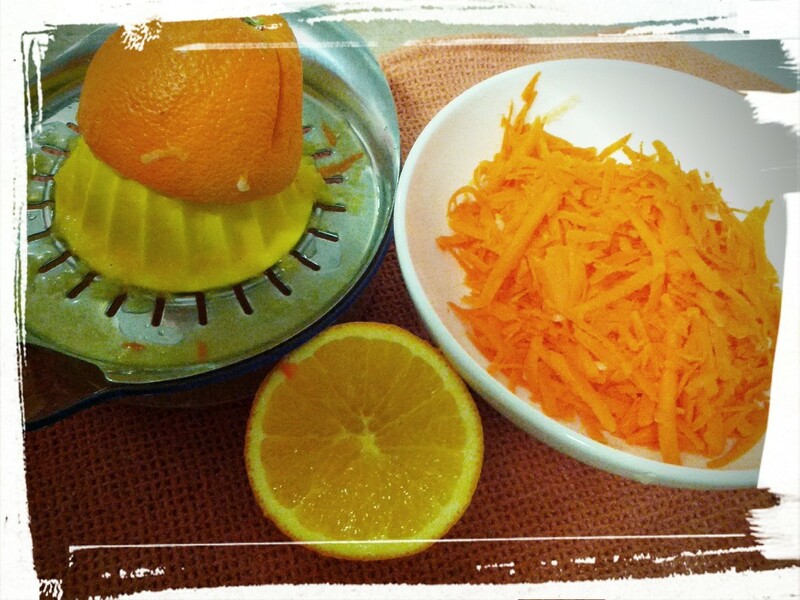 Juice the oranges, and grate the carrots. Mix together. Let sit for half an hour in the fridge. Eat, enjoy, and feel those vitamins coursing through your body! Next Post: I’m feeling all granola all of a sudden! Possibly because of this recipe. This entry was posted in Salads I Have Known and Loved, Vegetarian Side Dishes on January 13, 2015 by Margaret.